India and China have been the two most well-known hotspots for any foreign technology company to get outsourcing IT support. Besides, Vietnam has managed to catch up and draw comparative numbers of businesses’ attention looking to their needs in recent years. Nowadays, more and more businesses notice Vietnam IT outsource for its groundbreaking growing IT infrastructure. Vietnam IT Outsourcing – how is cost reduced? 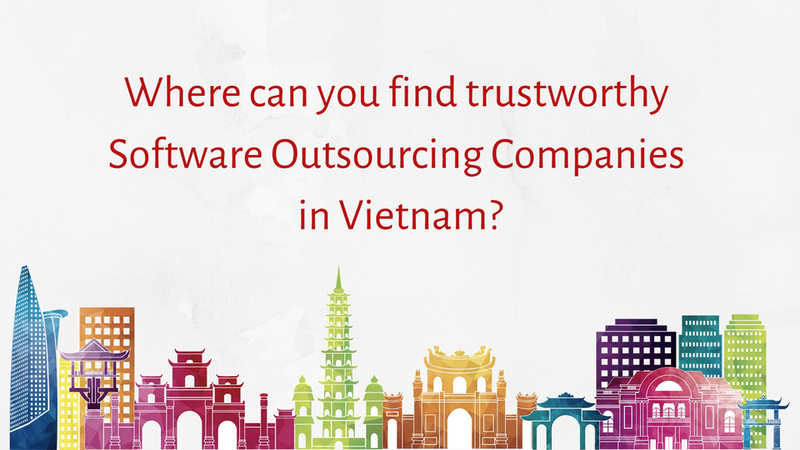 Where can you find trustworthy Software Outsourcing Companies in Vietnam? While Vietnam is gaining their reputation to become a premier country to outsource IT support, there are still many challenges to deal with. According to The World Economic Forum’s 2017 Global Human Capital Report, Vietnam is ranked at 64th out of 130 countries. For companies having incentives to establish large-scale IT outsourcing, it may be still out of reach. For a multi-thousand-person operation, Vietnam still needs some time to offer such infrastructure. What are the challenges of IT outsourcing that Vietnam has to deal with? | Source: Savvycom. Also, there are fewer vendors which mean fewer options for your business. Substantial focus on key business practices and operating norms is one thing you want to notice while using IT outsourcing services in Vietnam. However, with the aim to reach 1,000,000 software engineers in 2020, the Vietnamese Government has adjusted a lot of laws and issued many circulars to support the development of technology. Therefore, a number of organisations and companies which are looking for exporting IT projects to Vietnam are supported to find real estate and connected with local HR organisations or the telecom vendors. In spite of those challenges, there are optimistic signals that could be changing to be better. For instance, STEM (science, technology, engineering, and math) fields are further developed in Vietnam. Savvycom’s CEO, Ms Van Dang has been featured on The University of Sydney as an alumna who is breaking down the stereotypes and inspiring the next generation to pursue a career in STEMM. She hopes to enable a beautiful life with technologies and opportunities. 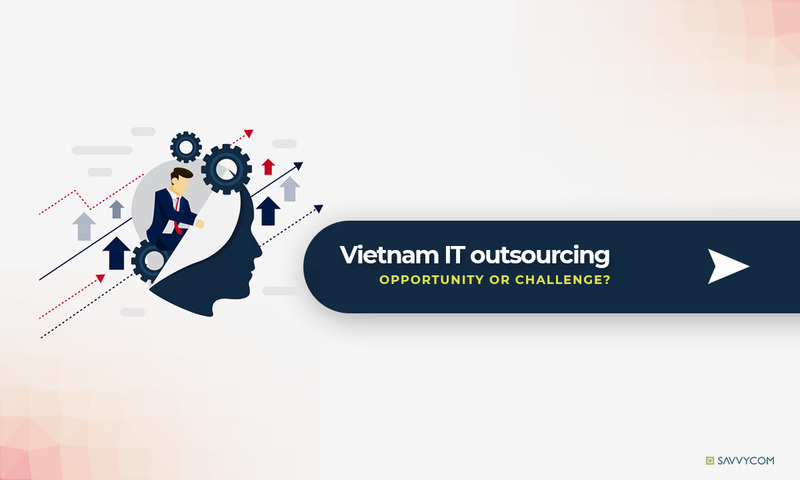 To grasp a better view of the challenges and opportunities, building a strong connection with IT Outsourcing companies in Vietnam is recommended for any organisations and companies that are looking for a software development agency here. It will benefit businesses to optimise recruitment, get an overview of the political landscape, tax code, and to ensure appropriate licenses and documents. Vietnam as an IT Outsourcing Destination | Source: Savvycom. In addition to many other appealing factors, there are many big corporations such as Microsoft, Samsung, LG and Intel have decided to invest heavily in operations in Vietnam recently. Reducing cost is one main factor for Vietnam IT outsourcing’s appeal. To hire labour here, it doesn’t cost you much. The cost of labour is just about one-third of the cost of labour in India. People are young, enthusiastic about the work they are assigned. educated talent pool. About two-thirds of the population is under the age of 30. Vietnam seems to be an attractive destination to invest if you introspect other factors like wage inflation, salaries, real estate costs, etc. Moreover, with 30-50% less in terms of cost of operations than India, many companies now are seeing Vietnam as a great potential outsourcing place. Vietnam staff in IT companies are loyal, creative, committed and hard-working | Source: the Internet. 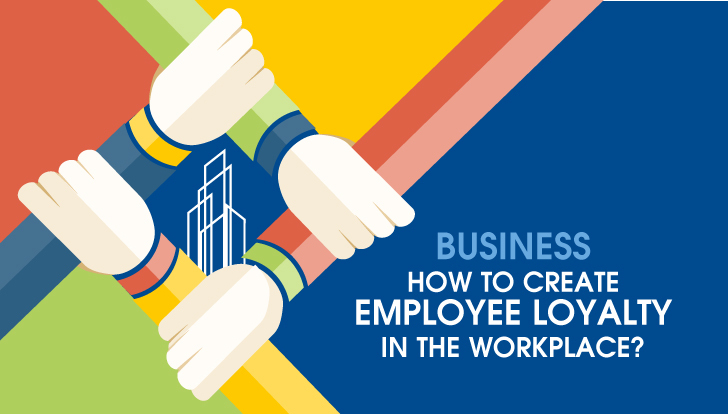 If labour cost is what attract foreign businesses outsource to Vietnam, workplace loyalty is a crucial thing they want to invest in the long term. It seems to be a characteristic of Vietnamese culture, influencing attrition rates. According to remoteresources.com, this rate in Vietnam is just between 6 and 8%, compared to this rate in India at about 20%. Moreover, Vietnamese talent in the software development industry is prestigiously valued for their hard-working spirit, flexibility and adaptability to the fast-changing environment. According to the World Economic Forum, Vietnam is listed in the top 10 countries with most software engineering graduates. The Information technology industry always has the highest recruitment demand in Vietnam in the last 10 years with attractive offers such as high salary and creative workplace. “Vietnam has the highest-performing computer science students I’ve ever encountered.”, Neil Fraser, Alphabet Inc’s Google. As 60 percent of the population is under 30 years old, Vietnam has broad of profuse young, fast learning and hard-working resources. High English proficiency is also an advantage that Vietnamese software engineers meet a global standard, compared to China or Japan where communication is still a language barrier issue. Although IT outsourcing in Vietnam is quite new, its significant growth proved that this country is a promising potential market. With a fast-growing GDP, high technical talent, modern technological infrastructure and high retention rates, Vietnam is making their way to attract global companies, also further develop its already-strong IT infrastructure. A growing economy, stable government, and an increasing population of skilled, well-educated, young labours is a positive side I can depict about Vietnam. Software development companies here can provide adept programmers for mobile app, web, and IOT development. Many companies also expertise in offshore software development topics like business intelligence, big data, QA, and software testing. Which city is your choice? | Source: Savvycom. Being the capital of Vietnam, Hanoi is the social cultural-educational centre where the technology industry is the most developed in this country. There are over 40,000 students attending The Hanoi University of Science and Technology, one of the top rank universities in Vietnam, and over 10,000 software engineers graduate from here annually. Listed as one of the most attractive city to work and live for software engineers, HCMC is a highly urbanised, international city where is expected to be the Silicon Valley of Vietnam in the next 10 years. Located between HCMC and Hanoi with a beautiful beach, Da Nang has been a popular tourist destination for many years. However, this city is also one of the most well-accomplished and prestigious places in Vietnam provides a number of talented software engineers. 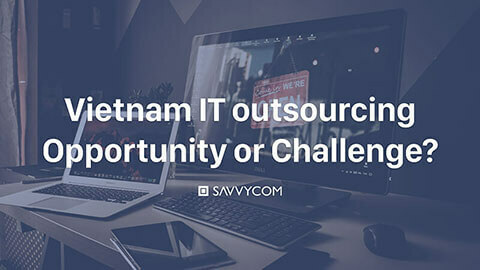 Having developed nearly 10 years in Vietnam IT Outsourcing Industry, Savvycom hopes to share valuable information and up-to-date news of technology with you. Located in the heart of Hanoi, with the power of more than 100 professional IT engineers, Savvycom has served clients across the globe, from Asia countries, EU to the US. We deliver software outsourcing services in a wide range of industries such as Retail & E-commerce, Banking & Finance, Logistics, Education, Healthcare and many more. Following the Agile methodology, we are committed to being highly responsive and providing our clients with high-quality, cost-effective and time-saving IT outsourcing services.